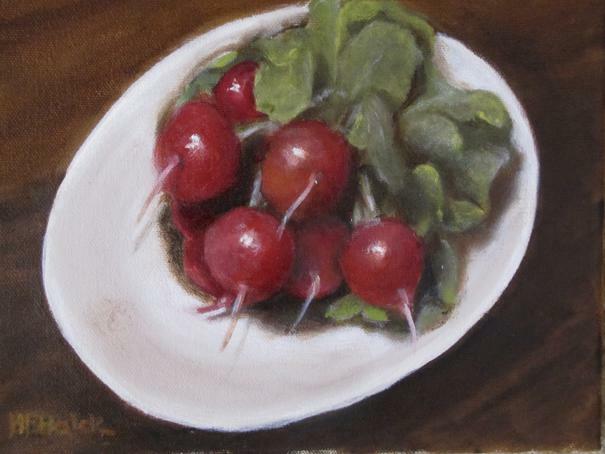 Ms. Balek’s evocative still life are inspired by her love of the work of the seventeenth century masters. Her paintings are at once studied and spontaneous in their freshness of detail. 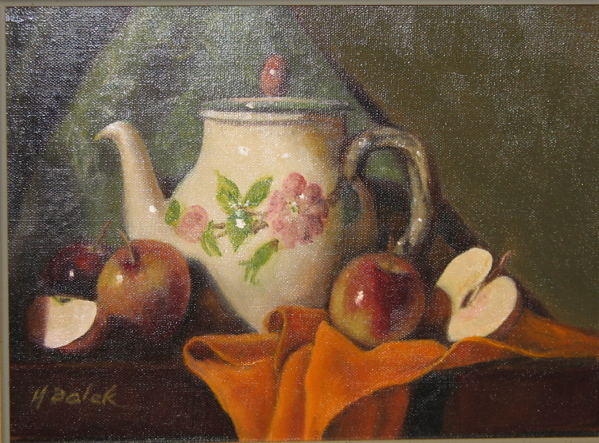 She loves painting still life works which contain the treasured mementos of those who hold them dear. Interested in chiaroscuro modeling, her work emphasizes the essence of light and shadow. She studied for three years with Frank Arcuri, for four years with Barbara Walker as well as with, Peter Fiore and Linda Guenste. She especially enjoys painting vegetables!